Save $5,500.00!! The newest member of the C-Class family is open for your enjoyment. 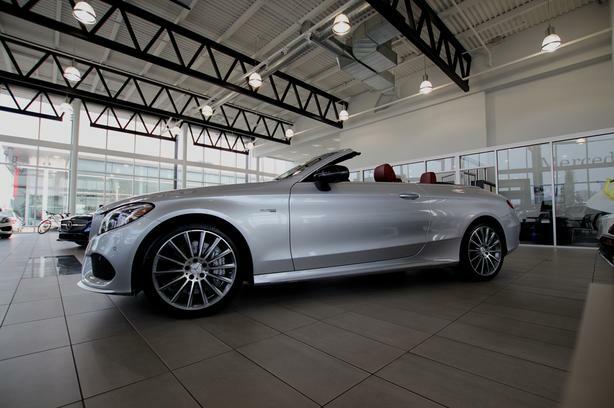 The first-ever C-Class Cabriolet is more than a stylish convertible with room for four. It's also everything that's earned the C-Class such high acclaim, from year-round driving fun to ahead-of-its-time innovation. Four models include three Mercedes-AMG cabriolets with windswept lines and gale-force power. And beyond their rich fabric power tops and LED lighting, every C-Class Cabriolet expresses a style all its own.